Two years ago, EV and retro enthusiast Andrew McClary bought a rusty chassis and a fiberglass kit for a 1968 Fiberfab Valkyrie. 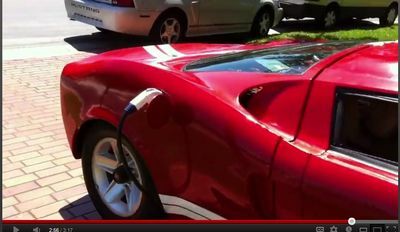 With his ingenuity and engineering know-how, he has managed to make a Ford GT-40-ish EV which is capable of doing 200km/h, while offering a range of 200km from its 38kWh battery pack. We particularly liked the fact that it has a 4-speed manual gearbox, which must be really fun on an electric motor.